As a smart podcaster, you know the power of strategically sharing your episodes. That means you need awesome, proven marketing assets as ammo to push out your audio. And that’s where audiograms come in. So even if you don’t have a video podcast – most are audio only – you should still create video assets for your episodes through audiograms as it performs better when shared. Viewers retain 95% of a message when they watch it in a video compared to 10% when reading it, like with a simple image with text. Still not convinced? Still just want to share an image of your episode to get more traffic and listeners? Headliner did a study where they shared a podcast episode on Facebook 2 different ways. This was with a static image versus an audiogram, and the audiogram generated 5X the results and traffic. The static image generated 118 clicks and the audiogram generated 660. That’s a pretty significant difference. So let’s get started! What’s The Best Tool to Create Audiograms? What About The Skin For Your Audiogram? Those guys we just mentioned … Headliner. This is a free tool that allows you to upload your mp3 file and image and create an awesome audiogram. It also auto-generates transcriptions! You’ll still need to adjust them for any incorrect words and to make sure it’s timed properly, but this is a huge time saver. Nail down your transcriptions. Again, Headliner will auto-generate these, but double check that they’re correct and timed well with your audiogram. Don’t skip putting transcriptions on your audiogram (we’ll dive more into this next). Once everything looks great, click “Export” and you have your square audiogram! 80% of people are more likely to watch and listen to something if it contains captions. Without them, people may not realize your audiogram is designed to be played as an audio clip: As much as 85% of video views happen with the sound off. And since Headliner does the majority of the heavy lifting here, be sure you finish this step. Neil Patel reported that images with people in them can lead up to a 95% increase in conversions alone. This is a great chance to feature your episode’s guest. Ask for a few images from them so you have multiple to choose from. If you have a podcast that doesn’t interview others as often, use an image of yourself or choose an image of a group of people that express your message. Pixabay is a great free resource for images that don’t look like they’re stock. The main text on your audiogram should pique interest, get the person thinking, and make them want to listen to the full episode. It doesn’t necessarily just have to be the title of your episode. Ask a question, make it a stat, or be controversial. 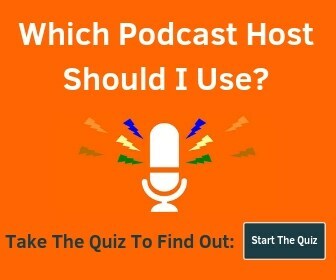 We’ve already said you’re a smart podcaster, so we’ll skip explaining how important it is to optimize your marketing assets to fit each social platform, like YouTube, Facebook, Instagram, Instagram Stories, and Twitter. We’ll dive straight into the good stuff! Yes! Use square video on Facebook – Square video takes up 78% more real estate in a person’s mobile newsfeed than does landscape video, and Buffer found that square vs landscape led to 30-35% increase in views and 80-100% increase in engagement. Yes, all of this is done in Headliner. You can choose your aspect ratios here. Notice how there aren’t transcriptions on this one? That’s because the widescreen format gets uploaded to YouTube. And in this case, we suggest you upload your transcriptions SEPARATELY so that every single word in that clip becomes trackable for SEO! If you aren’t sure how to do that, we have a video that shows you how here. 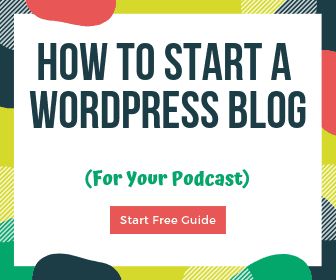 And there you have it – why, how, and what to create for your podcast’s audiograms! If you see the value in this (and other marketing assets for your episodes like image quotes, thumbnails, and memes) but don’t want to do the work, our team at Podcast Memes has your back. Let us create them for you. Shaina Weisinger is the founder and CEO of Podcast Memes, which turns podcasters’ episodes into micro marketing asset packages every week, giving them the tools to dominate their show’s marketing. Podcast Memes creates 7+ unique pieces of content per podcast episode. Shaina is on a mission to show content creators the untapped potential and repurposing power of the content they already have. Shaina loves to laugh loudly, be obnoxiously competitive on the volleyball court, treat her dogs as her kin, and recover from tripping on or running into almost everything within a five-foot radius.